The Woollahra Library, designed by BVN has been shortlisted in four design award programs. These include the Library Design Awards, the Australian Institute of Architects Architecture Awards, the Australian Interior Design Awards and the INDE Awards. Winners of the Australian Interior Design Awards will be announced on Friday 9 June while the remaining awards will be held later this month. Described as a fine example of public architecture, Woollahra Library, located in Double Bay NSW was completed in May 2016. 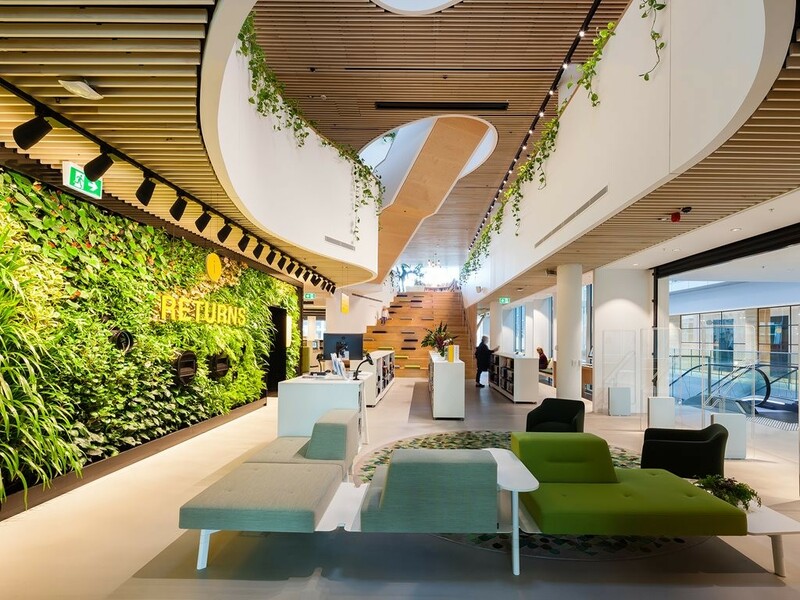 Engaged by the Woollahra Municipal Council to design the fitout, BVN took inspiration from the library’s previous location in the lush Blackburn Gardens to bring the garden into the interior space at the new site. This was achieved by introducing a series of voids adorned with hanging gardens connecting all three levels. BVN Principal Bill Dowzer notes that the building has been designed to encourage exploration. A secret door halfway up the timber stairs, for instance, opens onto a curving slippery dip that brings children down into a reading nook under the stairs. Chief Librarian Vicki Munro says the new library has led to a 40 per cent increase in circulation with 4000 new members including several young people.